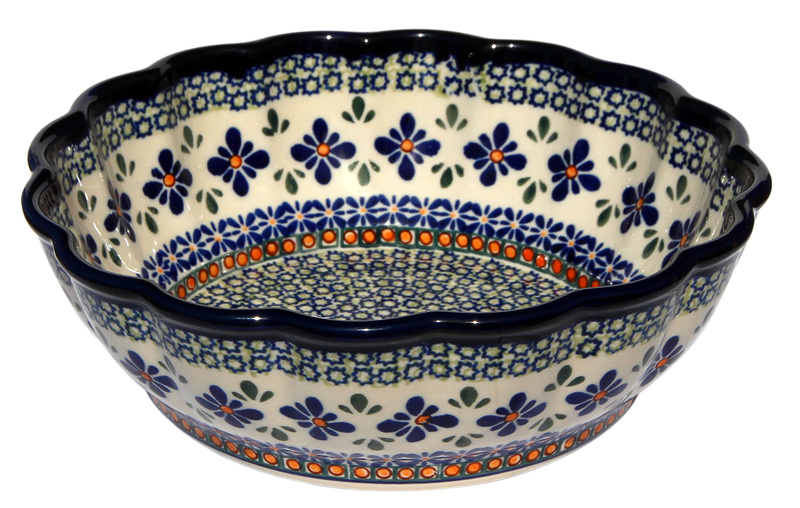 The Polish Pottery Unikat Pattern scalloped bowl is a scheme of stacked stars with a floral border made in Zaklady Ceramiczne BOLESLAWIEC. 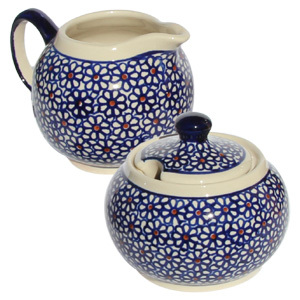 With an eight cup capacity, a wonderful ceramic for a custard. 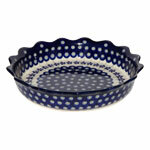 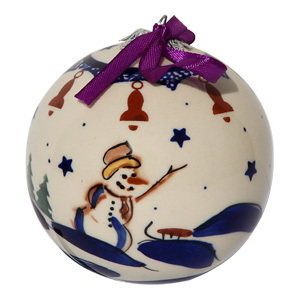 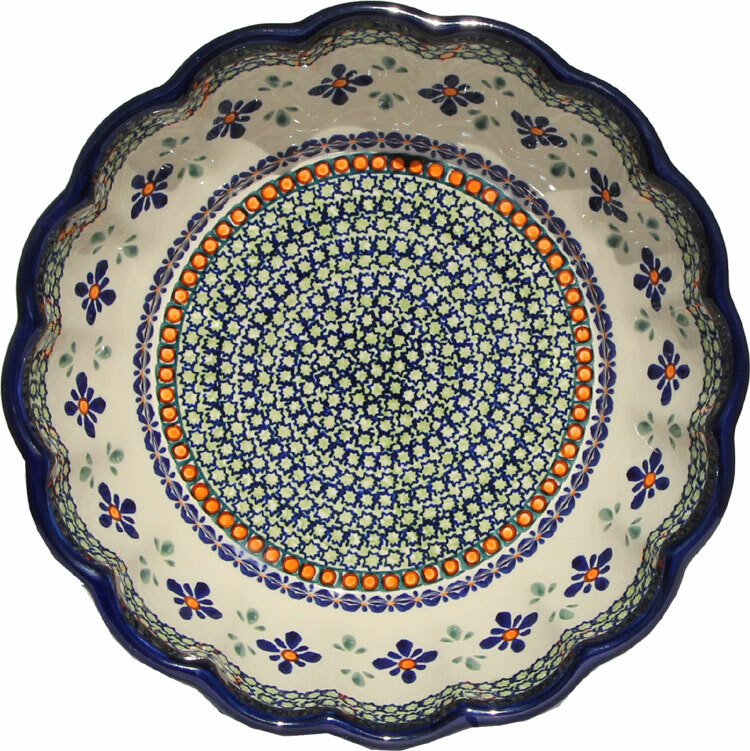 The Polish Pottery scalloped bowl is three inches high and nine and a half inches in diameter. 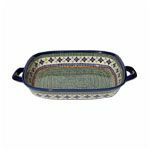 It is a great addition to your everyday dinner table or for celebrating special meals, like serving mashed potatoes for Thanksgiving dinner. 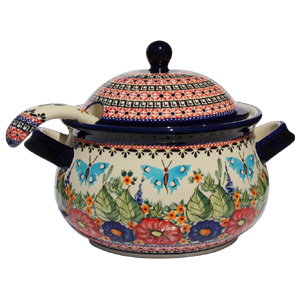 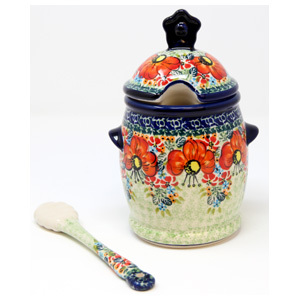 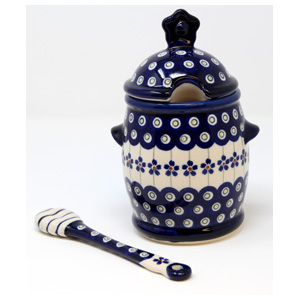 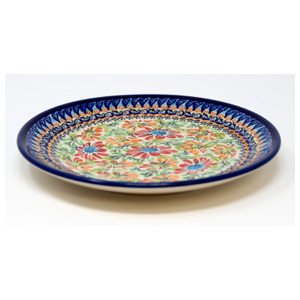 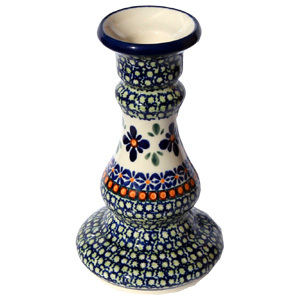 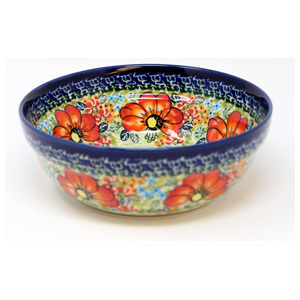 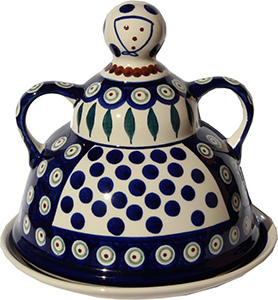 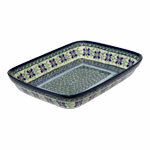 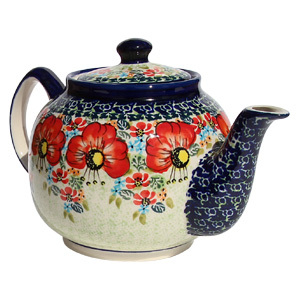 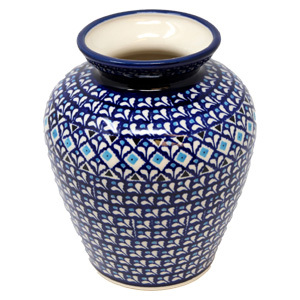 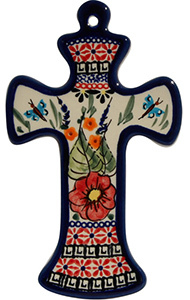 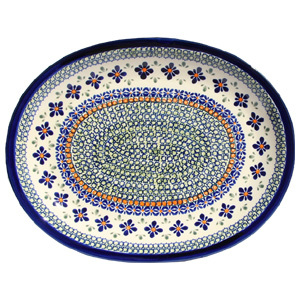 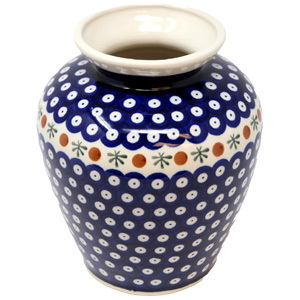 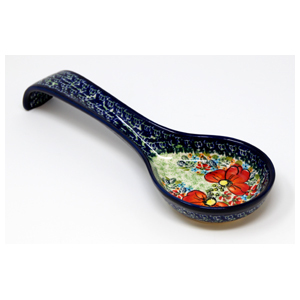 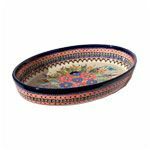 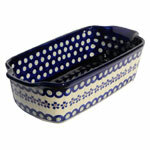 Polish Pottery will retain heat and keep your meal warm on the table. 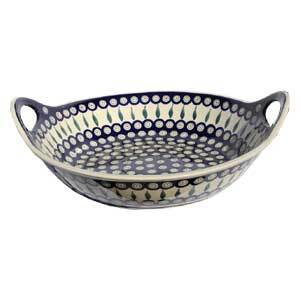 When not used for serving, it makes a lovely decoration on your countertop or kitchen shelf.